Dr Russell Banner is a Consultant Clinical Oncologist based in South Wales. His undergraduate training was at Christ’s College, Cambridge and then at Guy’s, Kings and St. Thomas’ Medical School in London, qualifying in 2002. He trained as a junior doctor in London and became convinced of a career in Clinical Oncology after working for 6 months in the Royal Marsden Hospital. He started his speciality training in Canterbury in 2007 and then transferred to complete his training in South Wales gaining Fellowship of the Royal College of Radiologists in 2010. He undertook an Advanced Radiotherapy Clinical Research Fellowship at Velindre Cancer Centre in 2011 and completed his MSc with the Institute of Cancer Research in London in 2013 researching Human Papilloma Virus specific T-cell immune responses before and after chemoradiotherapy for oropharyngeal cancer. Russell took up his post as a Consultant Clinical Oncologist in the South West Wales Cancer Centre in 2013. His specialist tumour sites are Head & Neck and Gynaecological Cancers. He is enthusiastically research active with Principal Investigator roles in Swansea for a number of UK-wide randomised clinical research radiotherapy trials. He has developed an interest in Radiotherapy Quality Improvement in his role as Radiotherapy Lead in the South West Wales Cancer Centre. 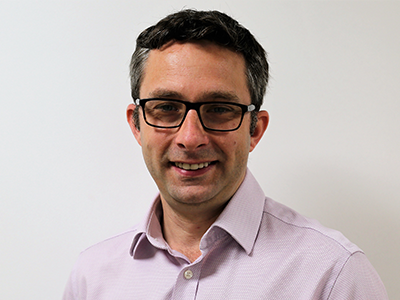 Russell is trained in the use of Proton Beam Therapy in Head & Neck and Gynaecological Cancers and looks forward to developing the evidence base for the benefit of this treatment in these tumour sites. Russell was born in London, though his mother ensured that his first rugby shirt was Welsh! He has a love for Southern Africa having spent a year working there in the mid-1990’s and returns whenever he gets the opportunity. He is now happily settled in South Wales with his wife and children. Dr Russell Banner does not hold a share or financial interest in the Rutherford Cancer Centres or another Proton Partners International company. Dr Russell Banner does not have a share or financial interest in equipment used at the Rutherford Cancer Centres or another Proton Partners International company. Dr Russell Banner does not hold any paid advisory role(s) at the Rutherford Cancer Centres or on behalf of Rutherford Cancer Centres or Proton Partners International.